Crossmembers for Gm Cars and S-10 type trucks plus 1967-1973 Mustangs too. We have Double Hump G-Force Crossmembers for 1967 to 1981 Camaro's and like F-Bodies, 1978-1988 Cutlass and like G-Bodies, 1967-1973 Mustangs, and C-4 Corvettes to name a few. We make these Double Hump G-Force Crossmembers to fit many different transmission like these: TH350, TH400, POWERGLIDE, 700R4, 2004R, TH250, MUNCIE, SAGINAW, T-5, T-10, T-56, AOD, and others. These Double hump G-Force Crossmembers are made to bolt into the factory holes for just about every install. These are made to clear dual exhaust when adding headers. If you plan to add headers you will need one of these. They also improve the strength of the cars chassis as well due to their superior strength compared to the factory crossmember. G-Force Crossmembers come Powder Coated in Black. A-Body cars Double Hump G-Force Crossmember: Chevelle, Malibu, Cutlass, and GTO types. G-Body cars Double Hump G-Force Crossmember: Monte Carlo, Regal, Grand Prix, and Cutlass Supreme types. Y-Body C-3 Corvette Double Hump G-Force Crossmembers. F-Body Double Hump G-Force Crossmember: 1967-1981 Camaro, Firebird, and Trans-Am types. 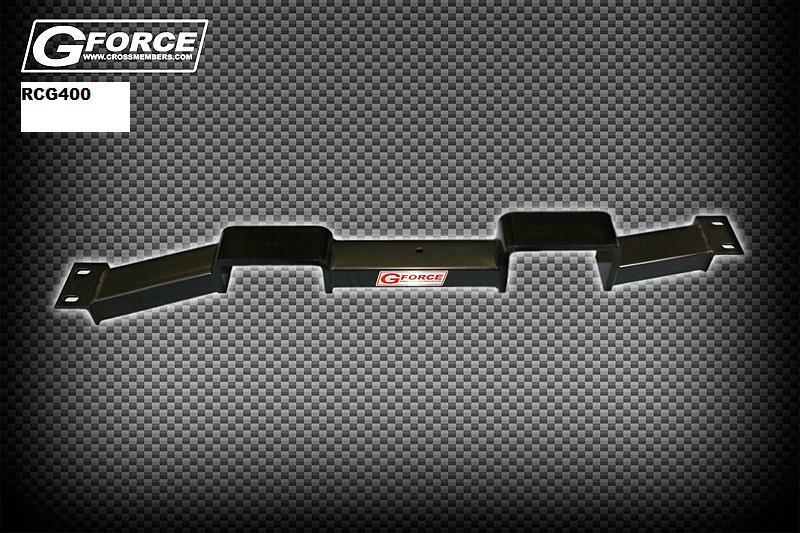 S-10 Truck type Double Hump G-Force Crossmembers.